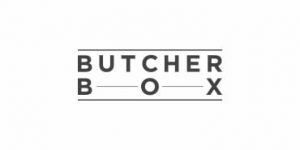 Both ButcherBox and Greensbury have an abundance of premium-quality, perfectly flavorful options for carnivorous foodies. Still, their offers differ in more than one way. Whether you are wondering which of these 2 meat delivery services is more affordable, more convenient or better suited for your preferences, we have the answers you are seeking. Explore our thorough ButcherBox VS Greensbury comparison below and discover which service is more worthy of your trust and cash. Greensbury makes it easy to eat well with its certified organic beef, pork, lamb, and poultry, free-range bison, and wild-caught and sustainable seafood. This trustworthy service lets you shop commitment-free and gives you a 5% discount on every order if you choose to create a custom subscription. Greensbury offers popular beef cuts like filet mignon, New York strip, top sirloin, and tenderloin, as well as beef hot dogs, bones, and ground beef. Lamb and pork items include chops, bacon, breakfast sausage, baby back ribs, and more. Some of the poultry products include whole chicken and turkey, chicken thighs, breasts, and wings, ground chicken, duck breasts, and turkey bacon. You can also get ground bison or bison ribeye or filet mignon. Greensbury exclusively provides organic, grass-fed beef. Its pork and lamb products are either organic or pasture-raised and antibiotic-free. Its bison is free-range and grass-fed while its poultry items are free-range and organic or antibiotic-free. Greensbury's offer does not only include meat but also features wild-caught and sustainably sourced finfish and shellfish. Greensbury primarily sources its meat from certified organic family farms. The animals are ethically raised and they are normally vegetarian-fed and free to roam. The company provides extensive details on all of its suppliers. Its seafood is wild-caught or sustainably harvested. It is obtained from local fisheries certified by the Marine Stewardship Council or approved by the Monterey Bay Aquarium Seafood Watch. Greensbury lets you shop without obligations or minimums. You can order as often as you please and get as much food as you need. You can also subscribe to your favorites and enjoy regular deliveries and 5% off your orders. You get to decide on delivery frequency. Subscriptions can be modified or canceled at any time. Greensbury offers a satisfaction guarantee on all its products. If you are not satisfied, you should contact its support staff within 30 days of purchase. You can get a replacement or credit or request a re-delivery. Greensbury charges $9.95 - $49.95 for shipping, depending on the available shipping method and order value. Greensbury ships throughout the continental US. Three deliveries, all perfect, we only eat grass-fed now. Honestly, I don't ever wanna go back to buying meat at a supermarket. Ordered ground beef and chicken wings to see if its any good. Made burgers and immediately went back to the site and ordered basically every beef cut they had. The wings were awesome too, but the beef, out of this world. I don't usually pay this much for meat, but my husband says it's worth it and I guess I agree.